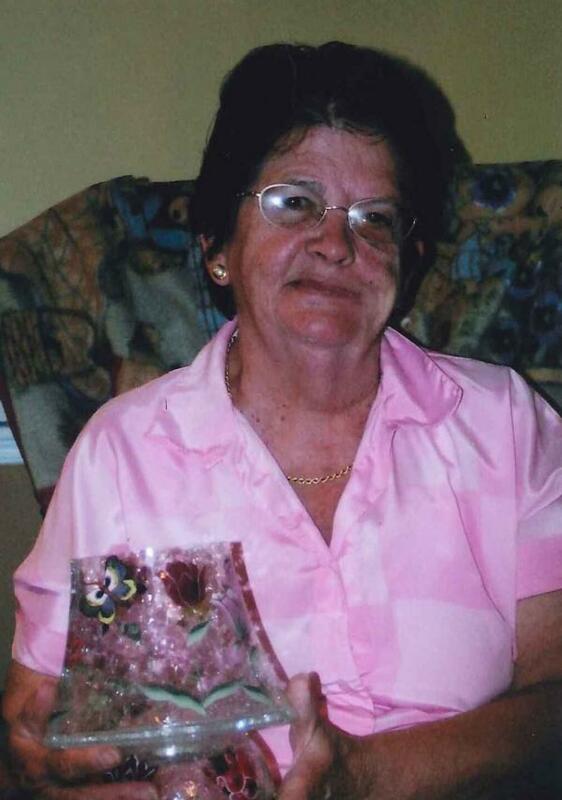 JENKINS, FLORA - Mrs. Flora Almeada Jenkins of Cambridge Narrows passed away on September 14, 2013 at the age of 77. Born in Cambridge Narrows on she was the daughter of the late Jack and Flossie (Corey) McGarity and was the wife of the late Gordon Jenkins who passed away in 2009. Flora will be lovingly remembered by her children: Sarah Crealock (Dale) of Pearsonville, Brian Jenkins (Kathy) of Cambridge Narrows and Fred Jenkins (Marilyn) of Cambridge Narrows; her foster children: Sue Sellick (Harry) of Ripples and Joe Frigault (Deborah Roy) of Saint John; her grandchildren: Adam (Stephanie), Melissa, Tanya Mazerolle (Devon), Nathan, Katrina, Jolene, Jesse-Lynn Charlebois (Corey), Eric, Scott, Sarah and Alexandra; her great grandchildren: Alexander, Olivia, Jayce, Adison, Owen, Liam and Keenan; her sister-in-law, Alice McGarity of Cambridge Narrows; as well as several nieces and nephews. She is predeceased by her son, John Jenkins who passed away in 2008; her sisters: Helen Ferris and Emma Thorne and by her brother Wilmot McGarity.